No Clog Gutters, Lake Norman, NC | G&S Contracting, Inc.
No clog gutters can eliminate the hassle that comes from needing to clean the gutters on your Lake Norman, NC property. No Clog Gutters in Lake Norman – There is one thing that is just as bad as not having gutters on your Lake Norman, North Carolina home – not keeping up with cleaning them. However, keeping your gutters clean on a regular basis can be time-consuming. If you want to keep your property in good shape, without the hassle that comes from maintaining your gutters, at G&S Contracting, Inc., we recommend considering no clog gutters. Imagine not dreading your weekend when the large tree in your yard starts to shed its leaves in the fall or when a large storm passes through your area and leaves debris in your gutters. Our Leaf Solution gutter guard system is one of the best gutter protection systems on the market, and we are proud to offer it. These no clog gutters are made out of high quality materials and come with medical grade stainless steel mesh. This means that your gutters will last! We are a family owned and operated business that genuinely cares about exceeding your expectations. When you turn to us, we’ll answer all your questions about no clog gutters, give you plenty of information about them, and ultimately ensure that they’re a good fit for your home. Give us a call today to find out more about the incredible no clog gutters that we have to offer in Lake Norman. 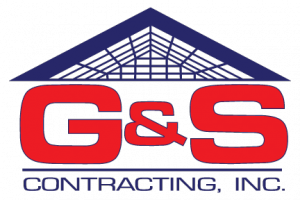 At G&S Contracting, Inc., we look forward to hearing from you and to helping you realize the many benefits of no clog gutters. At G&S Contracting, Inc. we offer the highest quality No-Clog Gutters to our customers in North Carolina including: Lake Norman, Cornelius, Davidson, Huntersville, Charlotte, and Mooresville, North Carolina.